We do Twin Eagles grill repair! Fast, convenient and professional service! Twin Eagles makes high-quality built-in and freestanding premium grills, warming drawers, bar accessories, ventilation and electrical heaters. We specialize in Twin Eagles appliance repair and in particular in Twin Eagles grill repair. We have more than 30 years of experience and skills in that area. In fact, our technicians are all factory trained and certified. Our demanding performance standards cover product maintenance, diagnostics, repair and customer relations. After an appointment with us, your Twin Eagles grill will be as good as new! We can repair any of those items, and you will be able to enjoy for many years to come. 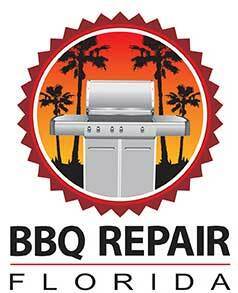 Besides having the skills and knowledge to do Twin Eagles grill repair we also offer you excellent customer service. We promise you that your whole experience will be fast, easy and convenient for you. Our team will treat you with respect and will try to help you in any way they can. We offer you flexible scheduling and will work around your schedule. Our company gives you a FREE, accurate estimate before every job as well a FREE service call with any repair. We usually carry most of the Twin Eagles parts in house. But if something needs to be ordered we will gladly preorder it for you. In fact, we have a 3 year warranty on all the parts we install for you. This way you get the best service possible at the lowest prices possible. Why hire us to do your Twin Eagles grill repair? When you have a Twin Eagles grill, and it’s broken or needs service, you need a specialist to take care of it. We are such a specialist. We know everything there is to know about Twin Eagles grill repair. With 30 plus years in business, we make sure to treat our customers right. Our techs are highly trained and factory certified to do their job. Also, we will try to make your appointment fast and convenient. But the main thing is that with us you are guaranteed to get the best results possible. Not only will you grill be fully functional, but it will also be safe and clean, and you will be able to enjoy it for many years to come. We guarantee it! For Twin Eagles grill repair, please call us at 469-440-2605! Or fill out of short online form! Besides Twin Eagles grill repair we also do all the other brands such as Alfresco, Capital, DCS, Fire Magic, Kalamazoo, Lynx, TEC, Thermador, Twin Eagles, Viking, Weber, and Wolf. We do gas barbecue repair, smoker barbecue repair, electric barbecue repair, portable barbecue repair, charcoal barbecue repair, freestanding barbecue repair, built in barbecue repair. We also repair, install and clean outdoor kitchens, cooktops, pizza ovens, sinks, outdoor refrigerators, wine coolers, dishwashers, beer taps, smokers, hibachi grills, warming drawers, patio heaters and much more. We will be happy to hear from you about any of your outdoor appliance needs! Twin Eagles makes high-quality built-in and freestanding premium grills, warming drawers, bar accessories, ventilation and electrical heaters. We specialize in Twin Eagles appliance repair and in particular in Twin Eagles grill repair.